The scheme, proposing free medical surgeries and tests at private hospitals in case of delay in government facilities, was passed by the Cabinet on and subsequently sent to the Governor. NEW DELHI: Delhi Health Minister Satyender Jain today claimed that the Lieutenant Governor has raised objections to the AAP dispensation's ambitious scheme proposing free medical surgeries and tests at private hospitals in case of delay in government facilities. According to Jain, Lt. 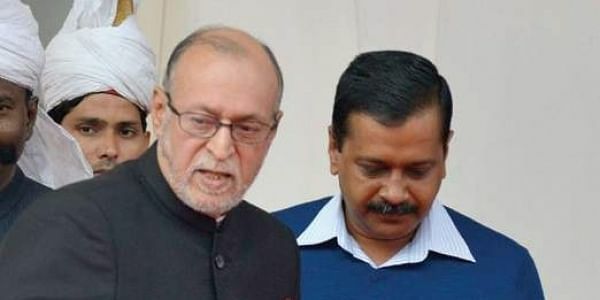 Governor (LG) Anil Baijal raised objections without discussing either with the chief minister or the minister concerned, and has asked the department to include income criteria for people to avail benefits under the 'quality health for all' scheme. The scheme was passed by the Cabinet on December 12 and was subsequently sent to the Lieutenant Governor for approval. It has been proposed that if the date for a surgery is not given by a government hospital to a patient within a month, then he can get it done from any of the private hospitals empanelled for this purpose. The scheme proposes that every person, irrespective of his income, who comes to any Delhi government hospital for treatment shall be eligible for benefits under this scheme, if he is a resident of Delhi. However, the LG has written that an income criteria should be introduced to avail benefits under this scheme. Jain said that the introduction of income criteria would make implementation of this scheme extremely cumbersome as verification of patients' incomes would increase paper work. "Let's imagine that the doctor advises a diagnostic test to patient, which is not available in that Delhi government hospital. Under this scheme, the patient can approach any one of the empanelled labs/hospitals, get the test done and come back to government hospital to show the reports without wasting any time in between. "However, the LG wants that an income criteria should be fixed for eligibility under this scheme which means patients would need an income certificate, which many don't have. So, a patient, who has been prescribed a diagnostic test, will first go to an SDM office to procure an income certificate," Jain said. He said the introduction of income certificate would also promote corruption such as bribery and false income certificates and people would face endless harassment. "Also, in many diseases, timely treatment is necessary. Precious time would be wasted in obtaining income certificate, which could be fatal in some diseases," Jain said. Besides, checking the income certificate of each patient before referring him to private hospital would require a whole set of bureaucracy and creation of many new posts. "At present, all Delhi government hospitals are facing shortage of doctors, paramedics, pharmacists, etc. and letters have been written to the LG repeatedly to fill up these posts. "However, the LG has failed to fill up these posts so far. What would happen to this scheme till then? The Delhi government is committed to providing quality health services to all, whether rich or poor," Jain said. He further alleged that the LG has also introduced serious obstacles in the already successfully running 'mohalla clinics' and polyclinics. Till now, medicines, tests and consultations were free for all patients, irrespective of income limit, in all mohalla clinics and polyclinics. "However, now the LG wants income criteria to be introduced in mohalla clinics and polyclincs also for all tests. Is the LG's decision based on any data or is it simply arbitrary and whimsical? If the LG's decision was implemented, all patients henceforth would need to carry income certificates to get treatment at such centres and additional staff would need to be deployed to receive payments from rich patients for diagnostics tests," he said. He said that the AAP government has been successfully implementing several new ideas and if the LG starts objecting to every proposal, it will become extremely difficult to govern and implement any new idea. "We also urge LG to at least have discussions with us before putting such objections on proposals of such critical importance," he said. Jain said that like in the case of 'doorstep delivery of services' scheme, the LG's objections on the health scheme are also based on lack of knowledge of ground realities. The Delhi government has decided to resend its proposal with a detailed reply to each objection raised by the LG.